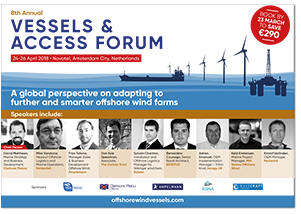 Tidal Transit provides vessels that increase the accessibility of the offshore wind farms resulting in higher time of tower levels for our customers. Through a combined fleet of owned and managed vessels, Tidal Transit has an access solution for all existing, in build and planned projects around the world. The current mixed fleet capabilities include over 40 knot transit speeds, up to 2.5m crew transfer sea states, overnight accommodation for 12 passengers, fuel efficient cargo transfer, marine growth cleaning and an economic survey vessel. With more vessels to come in 2017 the range of abilities within the fleet will continue to grow. Tidal Transit is based in North Norfolk and has been operating in the offshore wind sector since 2011. No organisation can match the breadth, talents or track record of the Clarksons broking capability - which is simply the most respected and successful in the maritime sector. Our brokers bring together companies with cargo to ship (charterers) and those with vessels capable of shipping it (owners). In short, our expertise helps make the transaction happen. Our clients move dry cargoes (iron ore, coal, grains etc) and wet cargoes (crude and refined oil and oil products), raw materials and finished products, gases and oils, chemicals and molasses... goods that any school student would recognise and many more that they would not. We transact business in every size of ship - from small units to those so large that they could not only swallow several football pitches, but complete stadia as well. These vessels criss-cross the oceans on the world's great arteries of trade, with every nautical mile managed and overseen by our team of around 1400 professionals in 46 offices worldwide. From derivative products that have been pioneered at Clarksons to full investment banking services and tailored debt solutions, we also provide best-in-class financial services. Our role is to help clients identify and manage risk, fund transactions and bring deals to life that would often be impossible via more traditional routes. Our research team is respected worldwide as the most authoritative provider of intelligence on global shipping and the offshore sector. Ampelmann is the industry leader in providing safe Walk to Work services and solutions for the global offshore energy industries. Headquartered in The Netherlands, the company currently operates a fleet of 55 operational systems in Europe, Africa, Asia Pacific, the Americas and the Middle East. Its innovative and reliable transfer and cargo solutions are designed and tailored to meet the needs of the ever changing offshore industry. Founded in 2007, the company has a proven track record of more than four million safe people transfers, more than six million kg cargo transfers and 200 projects worldwide. 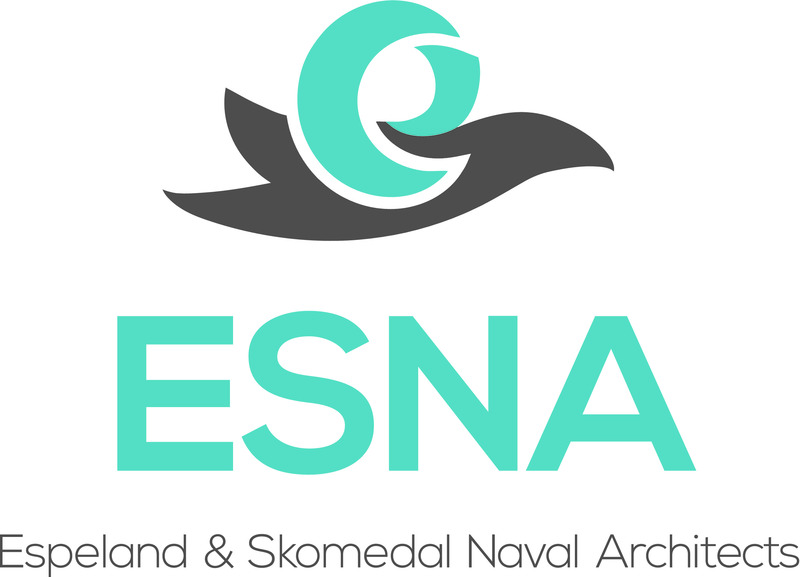 ESNA is an independent ship design company for high-speed vessels. We specialize on air cushioned catamaran/Surface Effect Ships (SES), where we have unique world-leading competence. Our strategy is to complement yards with the special air cushion systems and equipment, allowing any yard to build safe, cost efficient and reliable Surface Effect Ships. ESNA develops and realizes vessel designs with outstanding performance, seakeeping and comfort, higher speed and with lower power consumption. A SES has the performance of a larger conventional vessel, so that she can replace larger vessels while providing similar performance. This allows for even greater fuel reduction and lower emissions for a greener future. Umoe Mandal AS was founded in 1989 in Mandal, Norway, as a purpose-built shipyard specializing in composite Fiber Reinforced Plastic hull building materials and components. We have grown steadily and today, we are the leading supplier of high speed, lightweight composite air-cushion catamarans and components for a variety of advanced applications in maritime, offshore and naval industries worldwide. Our history of more than two decades of delivering pioneering naval vessels has set the ground-work for expanding into world-class commercial craft. Based on the same proven air-cushion catamaran and Surface Effect Ship technology, but tailored to suit crew transfer applications in Renewables, Oil & Gas, and Defense industries is our latest WAVECRAFT TM series of new generation Crew Transfer Vessels. These revolutionary craft guarantee rapid transit time, excellent seakeeping and passenger comfort,unique boarding capabilities, superior fuel economy and reduced environmental footprint. In a class of their own, WAVECRAFT TM vessels are a competitive alternative not only to other crew transfer crafts, but also to helicopters. Energy research Centre of the Netherlands (ECN) is the largest energy research institute in the Netherlands. ECN develops new technology and conducts pioneering research in various ways into innovative solutions to facilitate the transition to sustainable energy management. With around 500 members of staff, we are active in projects both at domestically and abroad, in joint efforts with the industry, government authorities and research institutes. We do this from our locations in Petten, Amsterdam and Eindhoven. ECN’s research has a major influence on day-to-day life. In this, we perform an important role for the society of today and the future. SMST Designers & Constructors BV specializes in the delivery of lifting, transportation, drilling and pipelay solutions, particularly for the maritime and offshore industry. These solutions can be standard or one-off products, and are always designed and built to customers’ specifications, drawing on years of expertise. As a growing company, SMST can deliver complete, turnkey systems. Producing clever, innovative and successful products is what drives us. Tell us what you want and we will create it for you. The products and services of SMST are used worldwide in different market sectors: Energy, Offshore, Navy and Industry. For customers this means we deliver solutions over a wide range of possibilities, utilising our experience in these diverse areas. From concept and product development, design and engineering, fabrication and production right through to commissioning, service and after sales: SMST. Wherever there’s a job to be done.